*NEW MOON* in Libra asks us to honor that which abides within, as we restructure how we move in the world of relationships. It’s been a time of unearthing, sensing and deep feeling. There has been much upheaval as Truth rises to be acknowledged. More than ever we must remember that nothing goes unseen and our truth will always be a beacon when we stand in our integrity. We are in relationship with every single thing in our lives, and each relationship is our sacred mirror of Reflection. This is a powerful time of integration that serves as a catalyzing moment in our Soul’s journey to wholeness. We must be loving with ourselves during this time and find the time to connect deeply with our Soul. 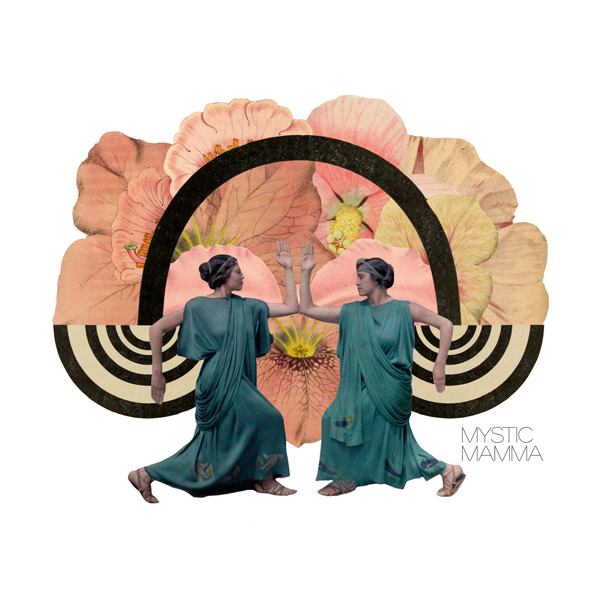 Here are the MYSTIC MAMMA Astral Insights from our beloved featured guiding lights. “Venus naturally rules Libra’s New Moon cycle…Venus is presently in Scorpio and retrograde. “She’s empowered, going for inner truth, available for transformative experience. “Venus in Scorpio is in the most powerful of the feeling-based water signs willing to go deeper into what motivates us, what is hidden, what is stagnant, what is called from the depths to be transformed. “The path to awakening holds an early gate that all must pass through, the gate of self love, where we value the unique one we are, finding and holding our own internal integrity replacing what we were given by family and culture. “Self Love is the foundation for love with another, the key to successful partnership and collaboration. “Chart ruler, Venus in Scorpio, is square (challenged by) Mars in Aquarius (with Black Moon Lilith). “We can call on our warrior self to show up and support what is just, balanced and fair in our social and collective relationships as we work on our prejudices, beliefs and discriminations. “These are ‘old’ fixed dynamics that need to be cleared (riding with the South Node) to bring us personally (Venus) and collectively into balance and right relationship. “We may experience Mars’ pull to work together for the collective good (in Aquarius). Recall the exalted warrior in ‘The Gladiator’ film when in the arena with other captives, and rather than fighting solo, he lead them to ban together to support each other and emerge victorious against great odds. “Human nature is cyclical, moving in ebbs and flows of togetherness and understanding, strife, separation and discord, then back to connection again. “Like the heavens in constant motion, nothing remains the same and any notion that people never change simply isn’t true. “In an alliance with Neptune and Pluto, this new moon both softens and strengthens our relationships. “It supports a compassionate heart and courageous spirit, willing to say the tough stuff with bold love, knowing the truth which sets us free is sometimes the hardest truth of all. “In a world that can seem devoid of it, being able to generate love is a mighty act of deceptive power. When Venus, ruler of Libra, is retrograde, self-love is especially important. Not a narcissistic, self-absorbed ‘love’, but a tender and accepting one. “Without it we’re dependent upon love from others, on conditional love that shapes us to its own agenda. “With it we are sovereign and complete: free to love who we choose, how we choose, whether or not that love is returned. “This initiating, idealistic, ‘dues paying’ associative and retrospective New Moon …will bring us into the Light of a form of reconstruction in action, where we are moved to a deeper union with others, both present and past. “This New Moon will help us reconstruct and/or repair a lot, finding those who are our ‘civilized allies,’ and a lot of returns, remembrances, and revaluing things from the past. “We now again stand on the threshold of opportunities as we open to living our inspiration and truths, and the next 4 weeks will in many ways help us understand why we’ve lost what we’ve lost over the past 4 years, and how these losses opened up doors we’d never have seen any other way. “Our growth is accelerating right now, and unfamiliar experiences will show you the cohesion of people and efforts. “LIBRA 16: A woman: The lower half of her body is a serpent. “Magic working simultaneously from two divergent levels. “The regular, human, everyday magic of holding yourself together as a complex and volatile mix by sheer intent. “And the deeper magic of yielding into the undersoul, the passions, the desires, the impulses, and the skills of the subconscious levels. “Primarily being absorbed in the deep forces of body and soul. But meanwhile bending over backwards to frame everything in normalcy. “This combination is extremely difficult to maintain. It is fragile, delicate, and dangerous. “You secretly exult in how impossible it really is and urge yourself onward to work this magic and wield it with the same kind of life-force that moves at the edge of an abyss and stays on that edge in a balancing act that may capsize at any moment. Keep working that magic of balancing the worlds. This breaking us open is making us stronger. Thank you very much for a very beautiful contribution for this New Moon in Libra. Some days ago I found out in True Alchemy, Libra actually rules our Heart, with Venus as the Higher Self of Mother Earth. And Earth makes Heart. It came as such a Revelation. How very beautiful this Life is! Thank you for sharing, so beautiful! Many Blessings Lady Shamla Rose! Thank you Andrea! I’m so grateful for the above guiding light astrologers and their wisdom which illuminates so much for all of us on this journey! A very beautiful and soul fulfilling collective set of readings. Thank you-I feel the truths expressed, resonating deeply within my soul. How very beautiful this Message from Archangel Gabriel is! I am deeply grateful for your profound sharing. How very kind of you. I have the very beautiful story to share that Archangel Gabriel stayed with me for 3 years! Supporting and loving me emotionally. I enjoyed this message more than the entire article! It resonated with me deeply. Thank u for sharing. Beautiful. Thank you for sharing this Edmund and Gabriel. I appreciate this distinction you shared, that nature is evolving energy through us, by channeling shadow/not conscioused/ un-presenced energy through us, to our mind, which then, when we do not be simply present with the raw, un-evolved emotion, we then turn into story, which must be resolved, rather than being present with it, and so witnessing it and honoring it, which brings it into realness, into acceptance, into it’s own relevance, which then, “loved” by us, is released as evolved energy. That we are processors/ lovers of un-parented emotions to become their own bright children. Thanks. SO beautiful! Thank you so much for sharing this message with all of us. Mush, I’m all mush. Somebody came and broke open my heart and I cannot seem to close it down now…is this a bad thing? Thank you so much. This really helped me a lot to understand what I’ve been feeling these last few days. AHA! Thank you for this. I have been going through an emotional upheaval, flooded with visions of the past and struggling to find some sort of stability within myself. I knew something inside my heart was shifting, but i just wasn’t sure why until I read all of this. This new moon and the importance of self love and balance will help give me the boost I need to find my way back to who I really am and where i really want to be. Thanks again for helping me to.make sense of it all and give me a new sense of purpose. Just re-reading this after doing a lot of heart healing and inner child work over the past couple of weeks.